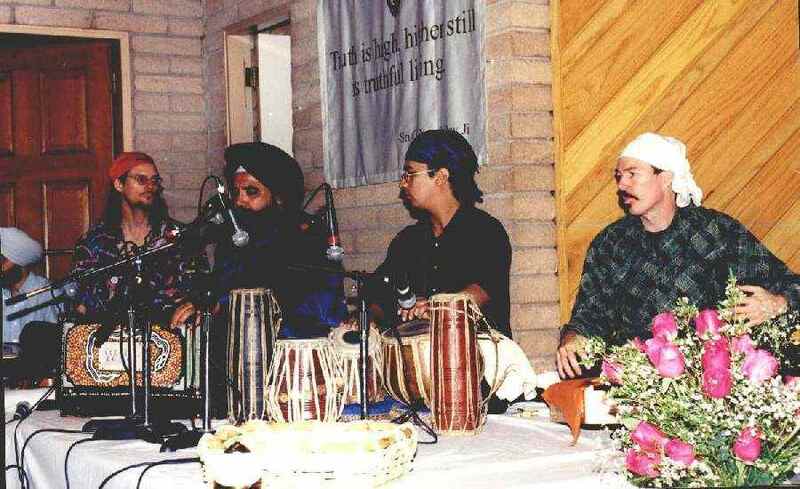 Here they are at a Multifaith service presented by the Orange County Sikhs. Dya Singh group was recently acknowledged by the Californian Lieutenant Governor , Cruz M. Bustamante, for services to the Community. 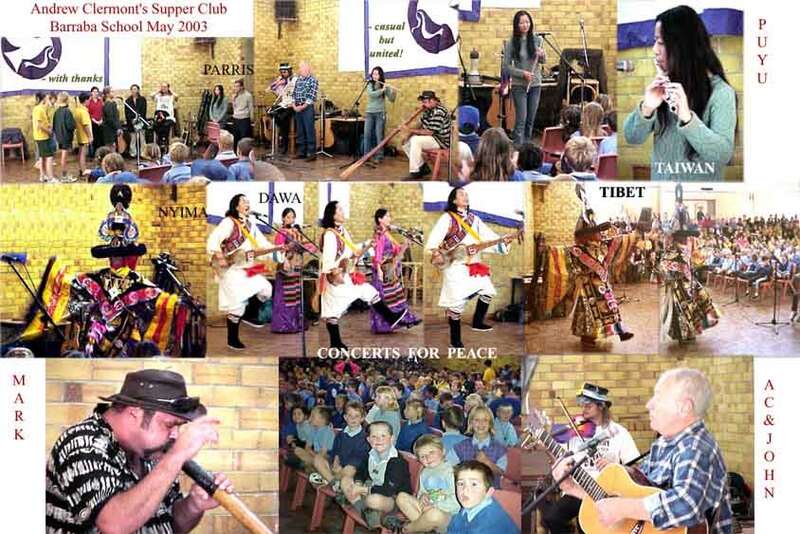 Ah the school time cultural sharing in Barraba north of Tamworth. Andrew Clermont's International Supper Club gets with the real people. A round of pictures care of the Barraba School photographer (Northwest NSW) Australia . 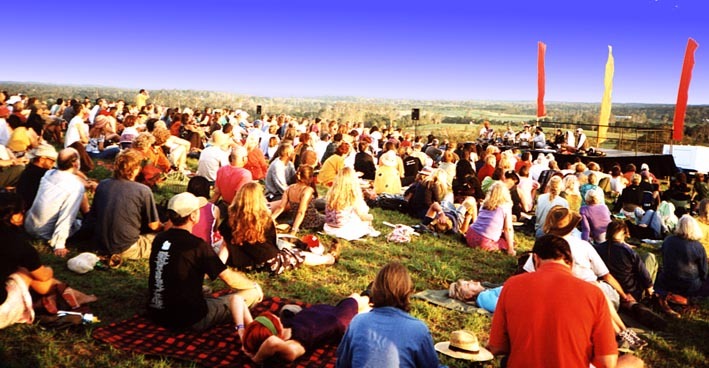 The Barraba Arts Festival has included (via Clermont), Dya Singh, The Supper Club. Jigzag and in 2005, Kavisha Mazzella, for Italian flavour. Coming up each early November. And finally the top of the world with Dya Singh World Music Group.